The Daily Pnut is our generation’s newspaper 2.0. In a world with infinite perspectives, voices and information, we provide a concise, irreverent and satirical daily email to start your morning off right. You should look forward to reading the news, not dread it. We cover geopolitics, foreign policy, national security, environmental issues, and technology and tech trends. Daily Pnut’s publisher is Tim Hsia. 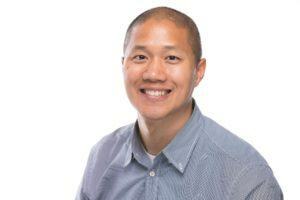 Tim Hsia is the CEO & Founder of Media Mobilize (MM). MM is a media company based in San Francisco that publishes Daily Pnut (World News), Get Web Videos (Video Newsletter), Score Recap (Sports Newsletter), and occasionally The Mil Vet (Military Veteran News and Analysis). Tim is a distinguished honor graduate of West Point where he commissioned as an infantry officer in the US Army and deployed twice to Iraq. In the Army he wrote about his military experience for The New York Times and has published essays in the Los Angeles Times, Small Wars Journal, and Armed Forces Journal. After leaving active duty, Tim graduated from Stanford University’s JD/MBA program. Prior to Media Mobilize, he did business development and partnerships at Pocket (acquired by Mozilla). Tim is also the co-founder and CEO of Service to School (S2S), a 501(c)3 nonprofit that helps veterans successfully apply to higher education programs. S2S partners with many of the nation’s top educational institutions to boost the number of veterans at these undergraduate programs. Tim is a board member of Service to School and the Marines’ Memorial Association. Tim is a Pat Tillman Foundation Scholar and enjoys reading, running, and family time. If you haven’t already realized this, Daily Pnut is not your typical publication. Here are six principles we adhere to as a publication. Readers first. If you want to unsubscribe, of course you can. See the bottom of the email. And if you want a respite from news or email and you’d like to go off the grid, then email us that you’d like to pause your subscription for 5 days or 5 years. We won’t dumb down the news, and we’ll tackle complicated and occasionally esoteric topics. We’ll balance brevity with complexity. Speaking of readers first, we believe in quality over quantity. If we think we don’t have anything smart, newsworthy, or insightful to contribute then we’ll publish a shorter Pnut or we might (gasp!) not even publish that day’s newsletter! We are in the business of educating and entertaining. The former before the latter. On the flipside, if we feel like the day’s email requires more coverage and analysis then we’ll publish a Daily Pnut that is more like a Brazil nut (get it?). We are bootstrapped and fiercely independent. We aren’t your typical newsletter or publication. We believe life is full of noise, and our goal is to be a succinct intelligence brief so you can understand what is happening around the world and connect the dots. Feedback is a gift. We read every single email that is sent to us. We appreciate your feedback and very much enjoy getting to understand and learn from and about our readers. Privacy matters. We will never provide specific reader information to any advertiser or adtech service. Many newsletters these days provide user data to adtech services, meaning that they have your email address, where you physically opened the email, your gender, your interests, your persona, and then they match this information with offline data so they can target readers with specific ads from any random brand with marketing spend. We will never do this. We’ll never run with a questionable advertiser or brand. We screen all advertising. You’ll never see an ad paid for by Russians, gambling or firearms industries on Daily Pnut.